The use of Photoshop image editing software by beauty brands has distorted the perception of what beauty is. For over 25 years, images have been altered and ‘re-touched’ to change the appearance of a model. This media manipulation has increased the damaging social pressures for people to look a certain way, to achieve a look that may not even be anatomically possible. Nowadays, with touched-up images being the norm, celebrities are actually praised for going make-up free in public or for allowing blemishes and imperfections to be seen in photos. In recent times, consumers have made it clear that they do not want to be lied to, which has created great opportunity for brands who show real images. Another controversial topic in the beauty industry is the use of plastic surgery. Plastic surgery can be very positive and has helped several individuals feel more comfortable in their own skin. Plastic surgeons can help those recovering from an accident or individuals who have been diagnosed with a cancer or tumour. The beauty industry has seen plastic surgery used to correct parts of the body individuals are not happy with. With celebrities and those in the public domain having used the treatment, it can be said to have changed the beauty industry as, just like Photoshop, people can desire to look a certain way believing it is desirable. The internet has got to be one of the largest influences on the beauty industry. The internet has changed the beauty industry in the ways of accessibility, availability, knowledge and expectation of beauty. The internet has created a global market, created new distribution channels, influenced pricing and has lowered the barrier of entry for new brands. The internet has allowed the world to be so connected which has increased access to different cultures and products from all around the world. Inspiration for beauty can now come from anywhere which has multiplied creativity and innovation in the beauty industry. The internet has also brought blogging, vlogging, YouTube videos, social media, online shopping, ecommerce and outsourcing! Physical shops on the high street are having to quickly adapt as online shopping has taken the world by storm. Social media platforms have changed the way brands interact with consumers, how products and services are advertised, and the values appreciated by consumers. From hashtags to influencers, social media platforms such as Instagram, Facebook and Twitter have allowed consumers to dictate the next popular trends. Fabrizio Freda, the President of Estee Lauder described the rise of social media platforms like Instagram, saying: “We are shifting channels and preferences that are profoundly changing the industry. We aren’t simply moving from point A to point B, change is flowing like the current of the ocean.” Social media has become an incredibly powerful way for brands to get their products and services to the global audience. With influencer marketing and paid social media marketing, brands can target specific target audiences from the global market. Celebrity endorsements are also as common as ever, with reality television creating a conveyor belt of social media celebrities. In recent times, social media has made influencer marketing a popular route for brands to reach to consumers. Based on how people are more likely to make a purchase from a trusted individual, large personalities are paid to advertise the use of a product to their audience of followers. Whilst at first this was less obvious, nowadays influencer marketing is common knowledge, with influencers typically having to be transparent to when they are advertising a product. Yet, influencers still have their say in industries like the beauty industry, as they can increase brand awareness and review products and services for brands. Social media influencers have been described to be a “major component in the success of the beauty industry”. Youtube’s free to post platform for videos has revolutionized where consumers look for opinions on new beauty products. Youtube has become a dominant source for vloggers and influencers to refer products for brands to consumers. As transparency is key, some of the largest beauty brands will send popular influencers products to review. Despite being paid for reviews, influencers can be as honest as they like about the product, which can help customers learn about a purchase before they go on to buy it themselves. This can reduce the uncertainty for consumers, with 2017 seeing 88 billion beauty-related video views on Youtube, according to Statista. Amazingly, individual vloggers control 97% of the beauty content available to watch online, showing exactly why brands go through influencers, rather than advertising their products’ benefits themselves. 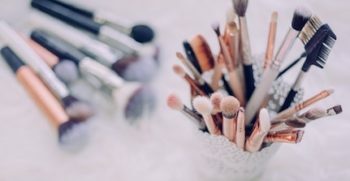 An in-depth consumer report on makeup by the NPD Group found 92% of makeup wearers to learn about skin care and beauty products via YouTube videos. Women’s magazines were always the go-to source for beauty advice and information. To learn about new products, to read about interviews with celebrities, and to see some of the most popular latest styles. Nowadays, with the growth of the internet, bloggers have replaced magazines as the mainstream way to learn about beauty products. Bloggers, like influencers, are typically sent free products where they will provide a reliable and honest review of the product. Blogging has gone from just being a hobby to becoming a full-time job, with most customers wanting real advice from real people, instead of being advertised to by the biggest beauty brands. Of course, this is still happening, it’s just that the brands have found new faces for their campaigns. Technological advances have certainly changed the beauty industry, on several occasions. Technology has changed the manufacturing side of producing products and providing treatments, with laser surgery and dental practices common. More recent technology drives, such as the rise of artificial intelligence, has allowed customers to see how clothes or make-up would look before they purchase the product. Again, by helping the customer feel more certain about a purchase, the beauty industry is profiting. We believe that beauty begins from the inside. With this being the core belief behind our business, our practitioners focus on holistic treatments to discover and encourage beauty from the inside, out. 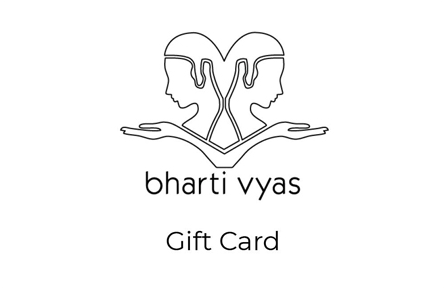 At Bharti Vyas, we marry the therapies of the East with the technologies of the West to provide revitalising treatments for your body, mind and spirit. Take a look, and discover our beauty treatments today!